Chronic pain is one of the most common claims made to workers’ compensation carriers. There are often a range of treatments, including physical and occupational therapy and medication. But it’s the medication part that has raised concern over the last two decades. In particular, the prescription of opioid drugs. These are medications that relieve pain by lowering the intensity of pain signals reaching the brain. Some of the most common include Oxycontine (oxycodone), Percocet, Vicodin (hydrocodone), morphine and fentanyl. These drugs do have a legitimate purpose for those who have suffered a work-related injury. However, problems have been known to arise when opioids are used for long-term treatment. A recent report by WorkCompCentral revealed employees who are taking a medium-to-high dose of opioids for a year or more experience a death rate of 1.75 per 1,000 patients. That may not sound like a lot, but let’s compare that to the death rate for logging and fishing (the riskiest jobs in the U.S.). Those workers face an annual death rate of 1 worker for every 1,000. Opioid users are almost twice as likely to die. Another study by the California Workers’ Compensation Institute revealed that 3 percent of prescribing physicians in 2011 accounted for 55 percent of all opioid prescriptions. Not only are these drugs not effective in long-term management of pain, they present a huge risk of abuse, overdose and death. 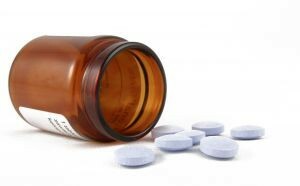 There have been a number of cases in recent years in which worker families were awarded workers’ compensation death benefits after employees died taking to many prescription pain medications following an industrial accident. Even in cases where alcohol is involved, courts have held that workers’ compensation survivor benefits are still available so long as the alcohol wasn’t the primary source of death (more often than not, it is the combination that kills). Even in cases where injured workers have overdosed and died consuming more of the drug than is recommended by doctors, jurors have still ruled these deaths stemmed from treatment for the work-related injury. There have been some cases in which surviving family members have argued the only reason the patient overdosed was because they became confused and disoriented as a side effect of taking normal doses. The confusion prompts them to consume more of the drug than is safe. Addressing substance abuse can be a tough prospect for employers, particularly when the medications are legal and prescribed. But they can start by screening workers for depression, mental health issues and prior substance abuse struggles. Potentially dangerous prescription drug combinations should also be flagged. Whether the combination of the pain medicine and alcohol prescribed for work injury broke the chain of causation. Whether an overdose by patient’s failure to adhere to doctor’s orders broke the chain of causation. Whether inappropriate prescribing broke the chain of causation. Whether use of a medication prescribed to treat another condition with pain medication breaks the chain of causation. If you or someone who love has suffered due to prescription drug abuse or drug use following a work-related injury, we can help.